You are here: Home / Healthy Living / Need Energy? Tired? Rundown? Having a hard time making it through your day? You can use taurine, glucuronic acid, malic acid, N-Acetyl, L-Tyrosine, L-Phenylaianine, Caffeine, Citicoline, and L-carnitine to cover up your symptoms, or find out the cause of your lack of energy. 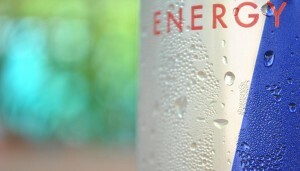 There has been a report showing that emergency room visits doubled between 2007 and 2011 involving high caffeine energy drinks. So, imagine this…you grab one of the highly popular energy drinks and instead of getting that pick-me-up you needed, you find yourself in the emergency room! Some of the reported symptoms are rapid heartbeat, muscle tremors, and seizures. Here, at Clear Choice Natural Healthcare, we will help you find the cause (there can be many) of your fatigue and help you lose that sluggishness. We use supplements made from real food, no isolates (partial vitamins), no synthetics, no fillers, just the real raw materials to help your body heal. Food Allergies! Has anyone coped with severe food allergies in babies. i.e. peanuts, eggs, dairy. How does one lead a normal life?